In the always persistent pursuit of more energy efficient data center equipment, there have been some breakthrough advancements in electronic cabinet designs. An electronic cabinet is a housing unit for servers and general data center equipment. It serves to protect and organize these electronics so that they perform at optimal levels. The more top technology innovators learn about refining data center efficiency, the more it becomes apparent that seemingly small details like data racks and electronic cabinet designs are absolutely pivotal. 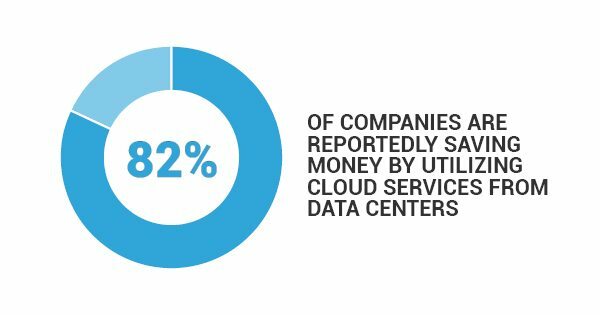 Since 82% of companies are reportedly saving money by utilizing cloud services from data centers, it is more important than ever for data centers to operate at a lower cost than the margin of error. One set of server racks could blow a hole in the entire hardware budget. This is why revolutionary cabinet designs are needed, and this is what designers need to contend with. This is the biggest issue in data centers as a whole, and is just as important for individual cabinets. Servers crank out heat like little expensive furnaces that break when they get too hot. While the cooling for the data center is important, so is ventilation for the electronic cabinet. Finding the right balance between ventilation and exposure is everything here. This is where things get tricky. If heat was the only problem, it might be easier to solve. Designers also have to worry about dust particles entering the servers and potentially frying the system. Likewise, humidity can become an issue, especially in more tropically located data centers. If your data center is located near any regular seismic activity, even if it is minor, the vibrations can shake loose components of your servers. Electronic cabinet designs have to work around the potential for shock and vibrations in a way that doesn’t affect the cooling and contamination resistance elements of the design. Relative to the challenge engineers face in data centers, all of these design dilemmas are individually simple to engineer around. But when you put all of the requirements together, it becomes a delicate balancing act between heat, contamination, and vibrational shock.